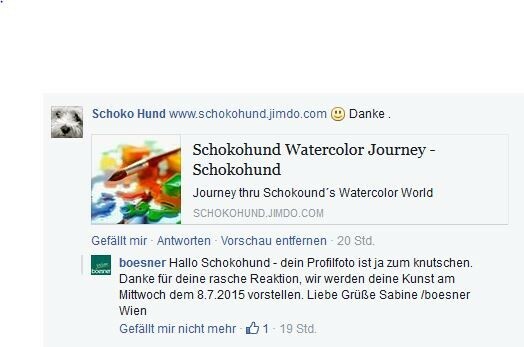 Boesner Art supplierer shows Schokohund tomorrow ..don´t miss ! I´m very honored that my HP is for one day on display @ Facebook . Tomorrow @ # Boesner FB site .